It took me six hours to reach the first boss in Dark Souls 2. During those six hours, I had died dozens of times—including once 30 seconds into the game when a hoard of plague rats devoured me before I could even create my character. So, when I entered the boss chamber and watched as the Last Giant stood before me, his lanky, disturbing stretched limbs hauling him out of a pile of spikes and rubble, every thought in my head was screaming at me to run. Run and hide, and live the rest of my days out happily walking around in circles in the somewhat safe hub village. But instead, I drew my sword, raised my shield and charged into battle. Fifteen minutes of heart pounding, white knuckle combat later I stood over the body of the giant as it turned to ash and thousands of souls poured into me. I was not only victorious, but as souls are the currency of the game, I was suddenly rich. I cheered and danced around the living room. Nothing could harm me. I was death incarnate. Destroyer of worlds. I was the champion. Five minutes later a large ogre was chewing on my skull while my sword bounced around like a pool noodle. That’s Dark Souls 2, and it’s brilliant. Every death is a learning experience, and since you’ll be dying constantly, you’ll be learning a lot. Dark Souls 2 is hard, but extremely fair. Every enemy has their habits and weaknesses, and it’s up to you to exploit them. I once climbed a ladder only to be swarmed by six soldiers. Upon my resurrection I returned, climbed the ladder, then immediately climbed back down, luring the soldiers one by one onto my waiting blade. I then climbed up and ten seconds later had a mini-boss ramming his sword through me while three archers on battlements buried their arrows in me. Two attempts later I had that mini-boss’s sword in my hands, and a few dozen deaths later I used that very same sword to hack at the shins of the next boss. Every victory is earned, every loss deserved. Dark Souls 2 has a small assortment of online features, including the ability to invade other player’s worlds to either help them or kill them. Messages can be left for other players to find, either luring them into traps or giving them helpful tips. Ghosts of other players wander the worlds, reflecting moments right before their deaths. It is an interesting treatment of multiplayer that keeps gameplay moving and helps prevent players from getting too stuck. There is hundreds of hours’ worth of content in Dark Souls 2. I’ve beaten three bosses over the course of the 15 hours I’ve played the game—and others I know have beaten seven and are 24 hours into the game. Some players have been going nearly non-stop since launch day and still haven’t finished the game. Dark Souls 2 is a game for people who want to play, rather than have a game that plays itself. It takes skill, focus, and patience. Victory comes at a great cost, but the rewards are greater than any other game on the market. 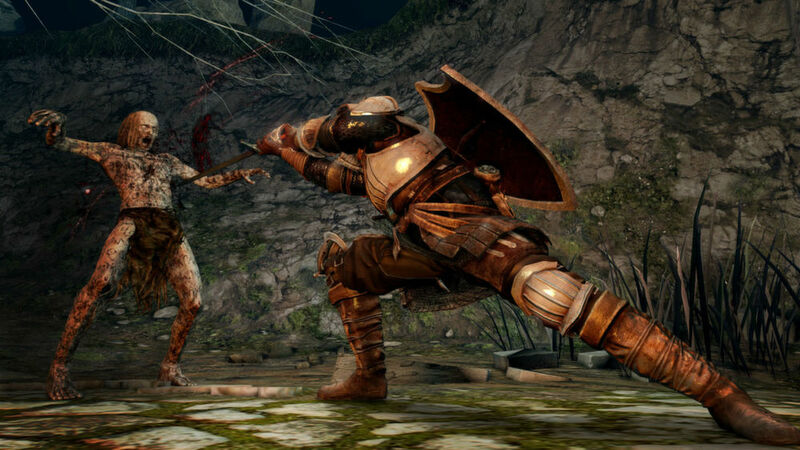 You can get Dark Souls 2 for PS3 and Xbox 360 for $59.99, with a PC version forthcoming.